It’s giveaway time again! A week from this coming Tuesday is the US release date for the Black Sabbath… uh, “Heaven & Hell” new studio album, “The Devil You Know”. 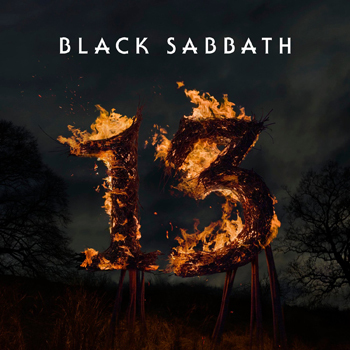 If you’ve been living under a rock, then you don’t know this is the first full studio album by the Dio incarnation of Black Sabbath since 1992, and the first full new album of music by Black Sabbath (yeah, yeah, yeah) since 1995’s Forbidden. Inbetween we got two new studio tracks with Ozzy in 1998, one live track in 2001 on the Ozzfest tour, and three new tracks with Dio in 2007. But this is the first full studio album by whatever the frig this band wants to call itself in way too long. Don’t cross buy the DVD’s. The DVD’s are region encoded. The one from Best Buy is Region 1, and the one from play.com is Region 2. If you buy out of region and don’t have region free or a proper region DVD player, you won’t be able to see it. If you don’t know what region encoding is, go read this. You’ll learn something. What was the first song written by the Dio incarnation of Sabbath after Dio started jamming with the guys originally? On the new album, there’s a track by the name “Rock & Roll Angel”. What was this track called earlier in the album’s production? Dehumanizer & The Devil You Know were recorded in the same studio. What’s the name of that studio? 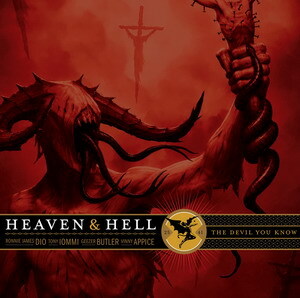 Who plays keyboards on the new “The Devil You Know” album? 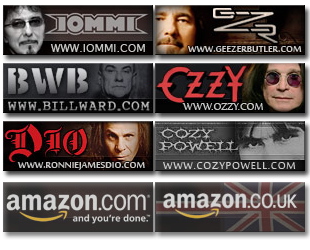 You need to send your answers for the questions and your name and address to newsabbathalbum@black-sabbath.com. There’s two important things here. First the email must go to this address. Second, you have to include your name and address. IF YOU FAIL TO COMPLY WITH THESE TWO SIMPLE INSTRUCTIONS, YOUR SUBMISSION WILL NOT BE CONSIDERED. The contest will run through Thursday morning the 23rd of April at 9AM Central Time (my time, which is the Central Time Zone in the US). You don’t have to be in the US to be eligible to win.